The first day of classes is Monday, May 6 (unless otherwise specified in your schedule). ProTip: Check your Lethbridge College email often! We’ve got some incredible events coming up to welcome our new students, and their families. Please add the following dates to your Calendar. 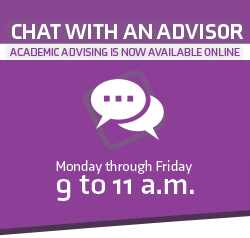 Click here for appointment and live chat information. New Student Orientation (Spring Intake) Registration is now open! This session will help you to be ready for your post-secondary experience. Advance registration is required. Check-in begins at 9 a.m. and there will be an optional tour of campus services following the session. May 24 - Family Fiesta! This festive event is for parents and partners of new students starting in September. We’ll offer information from various Student Services departments on how you can best support your student. registration is required. You are invited to attend one of two available sessions, May 24 or September 1. Advance Registration required. Details below. This is the semester kick-off for our new students starting in September. Attendance is expected, and advanced registration is required. We’ll be providing more information soon. May 3 2019 - New Student Orientation (Spring Intake): 9:30 -11:30 a.m., check-in is at 9 a.m. This session will provide information to our new students starting in May. The registration link will be sent to your Lethbridge College email by March 11. There will be an optional tour of campus services following the session. As an international student, you are required to attend a special orientation and welcome on Thursday, May 2, 2019 from 9 a.m. to 4 p.m. For more information and to register please visit the Lethbridge College International Services pre-arrival checklist page found here. Join us for a family fiesta, where you’ll enjoy residence tours, campus information and delicious food from 3:30 – 5:30 p.m. on May 24. Stay in residence for the full LC experience. Book your private townhouse or suite by May 23. Can't make it to Family Fiesta? Attend our family orientation on Sept. 1 from 1:30-2:30 p.m. This session will have the same great information as the Family Fiesta without the barbecue. It’s very important to review the new student orientation resource created exclusively for online learners. This information is designed to help you prepare for your online learning experience and will take approximately 60 minutes to review. Review New Student Orientation for online learners here. Once you have full access to Canvas, your Learning Management System, we encourage you to review additional resources in Your Digital Pitstop. For more information on Indigenous Services visit click here. Checking your college email for the first time? Username: Enter your student ID (sXXXXXXX). Password: For your initial log in, use your birthdate followed by LC (YYMMDDLC). Note: DO NOT check the box that says “I want to change my password after logging on” as the change password screen will automatically appear. Checking off the box will disrupt the process and interfere with your login. Follow the steps on screen to change your password. Check out our social media accounts while you wait 20 to 30 minutes for the password to sync across platforms. Log back into myHorizon with your new password. Once back in myHorizon, click on My Office 365 Email on the right side of the screen. Username: Enter your LC email address. Password: Use your new myHorizon password. Click on the Outlook icon. You’re finally in! Facilitate your successful transition into the college. Prepare you to maintain or achieve a holistic life balance (academic, social, emotional and physical well-being). Describe the difference between your previous life and educational experiences and the college experience. Identify, differentiate, and locate the available services that support your holistic well-being. Create connections with faculty, staff and peers to establish a sense of belonging with the college community. Recognize the diversity of the college community to build awareness of global citizenship. Learn about all the services and supports available to students. For more information, stop by our office located at TE 1220 or email studentexperience@lethbridgecollege.ca.